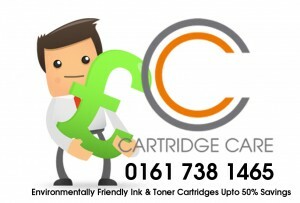 Cartridge Care Manchester are suppliers of high quality, low cost printer cartridges Manchester. We provide a huge range of Printer Cartridges, Toner Cartridges & Ink Cartridges In Manchester & surrounding areas – we offer huge savings compared to the leading manufacturer printer cartridges without compromising on quality. We Offer Free Local Delivery to businesses and individuals. This entry was tagged Brother Printer Cartridges, Buy Printer Ink, Canon Cartridges, Canon Toners Manchester, cheap ink cartridges, compatible cartridges, Drum Unit, Epson Printer Cartridges, hp Printer cartridges, ink, ink cartridges, laser cartridges, laser toner cartridges, laserjet cartridges, printer ink, Samsung Cartridges, Toner, toner cartridges. Bookmark the permalink.